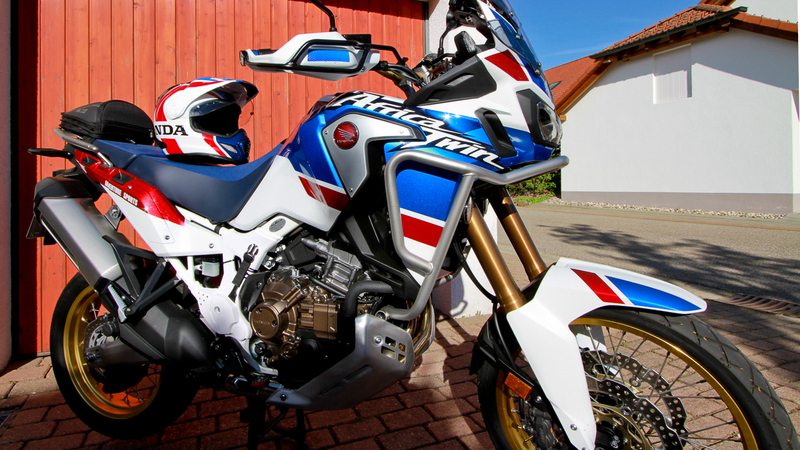 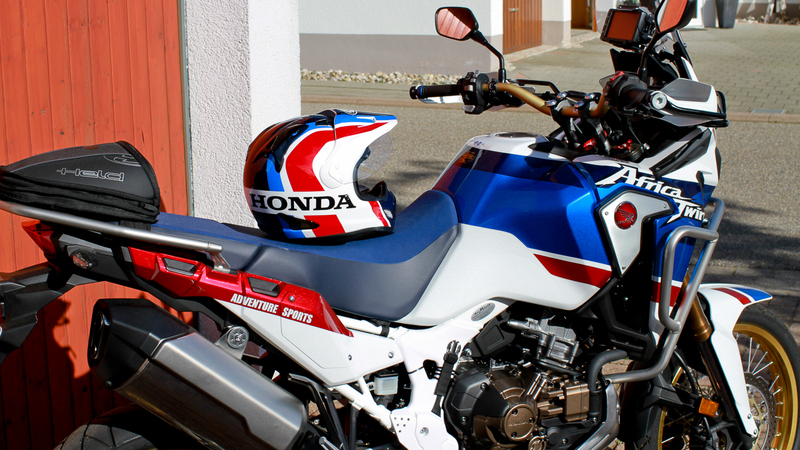 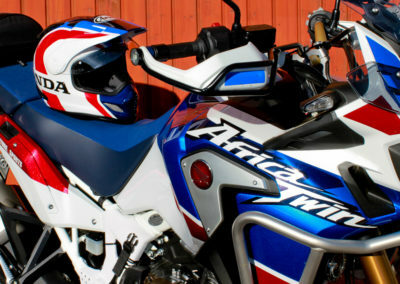 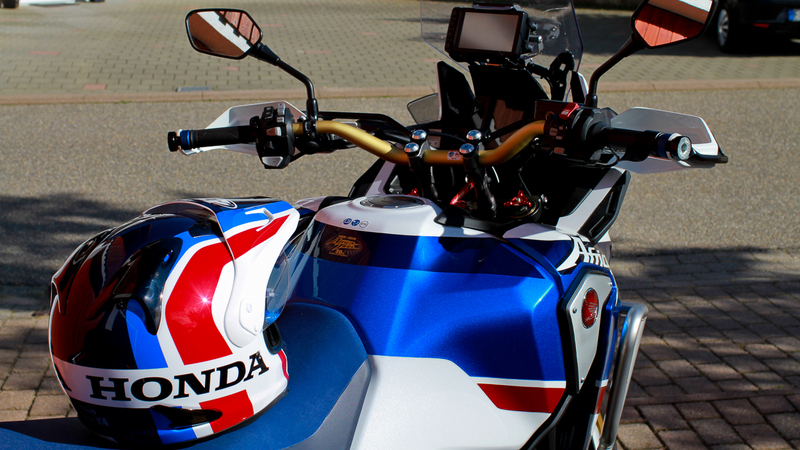 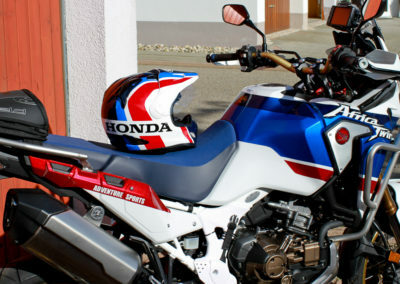 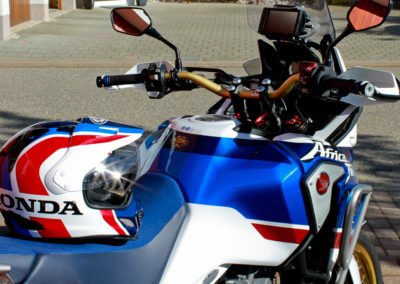 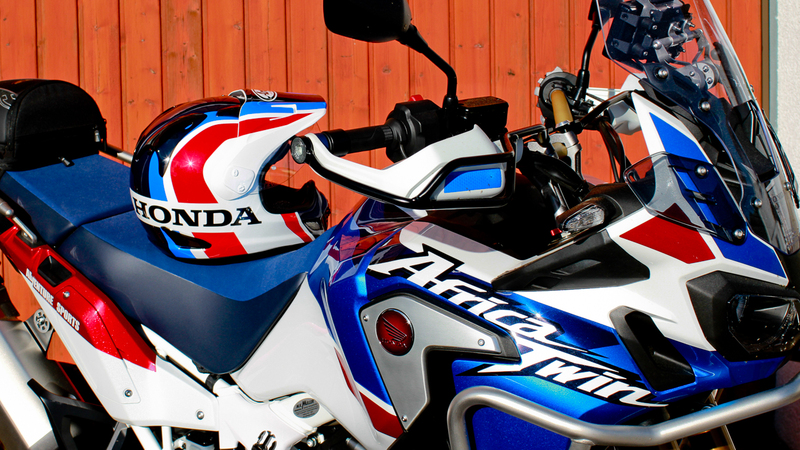 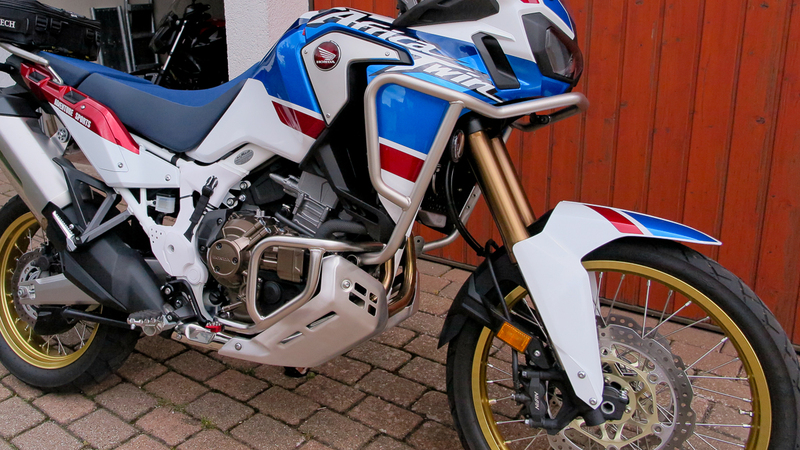 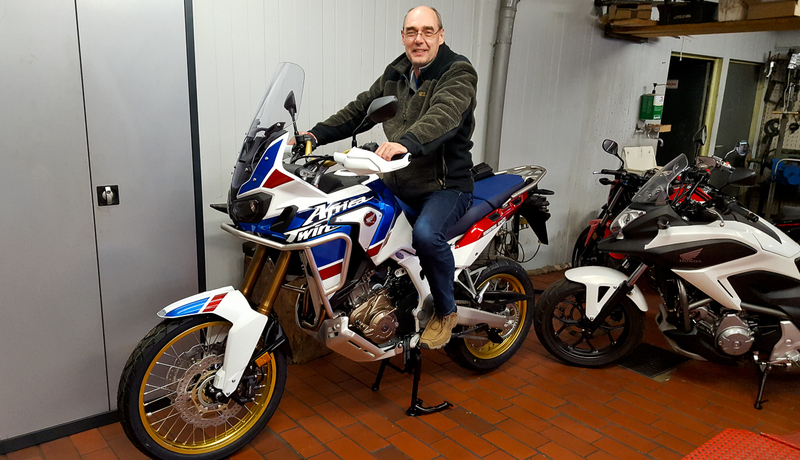 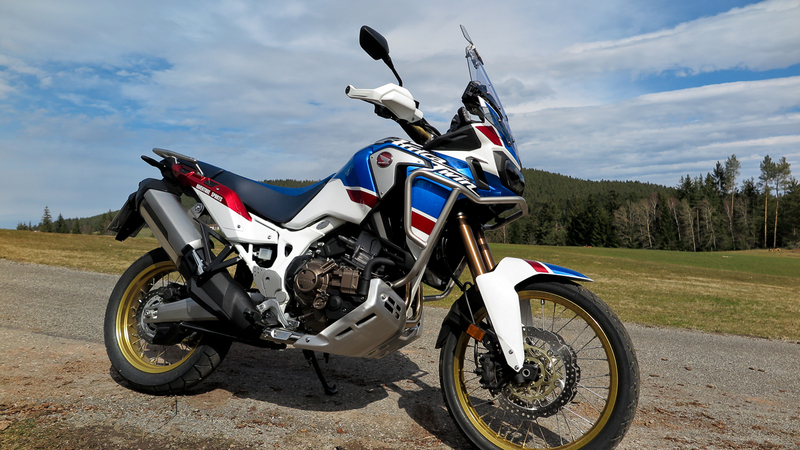 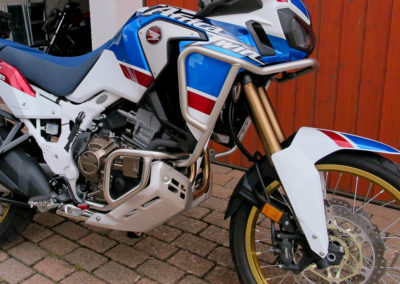 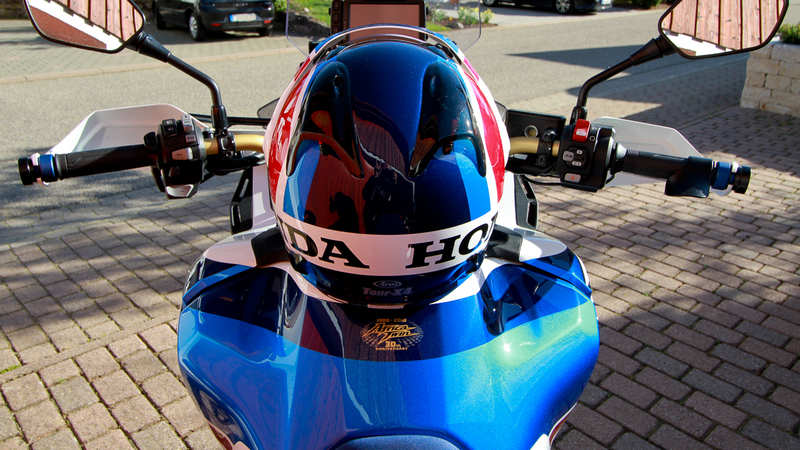 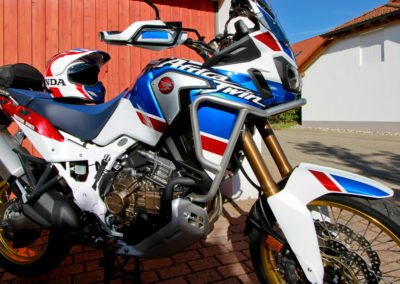 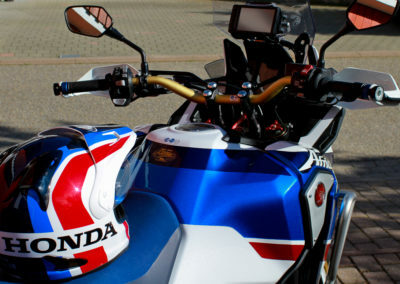 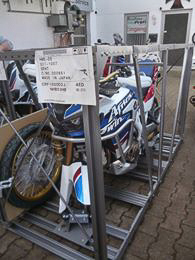 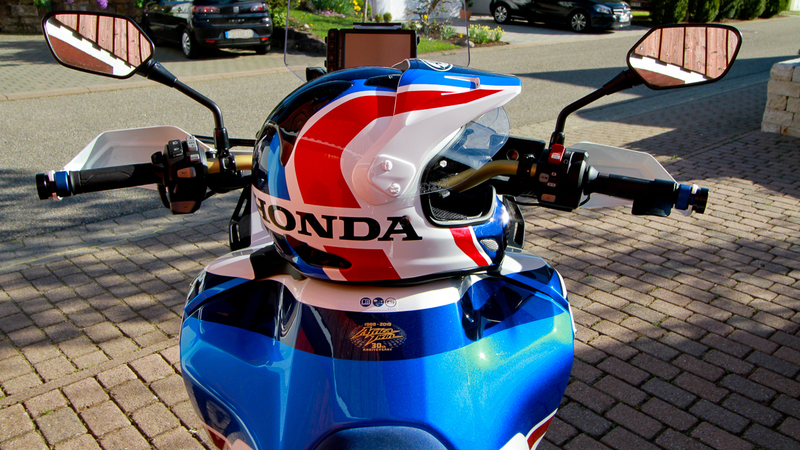 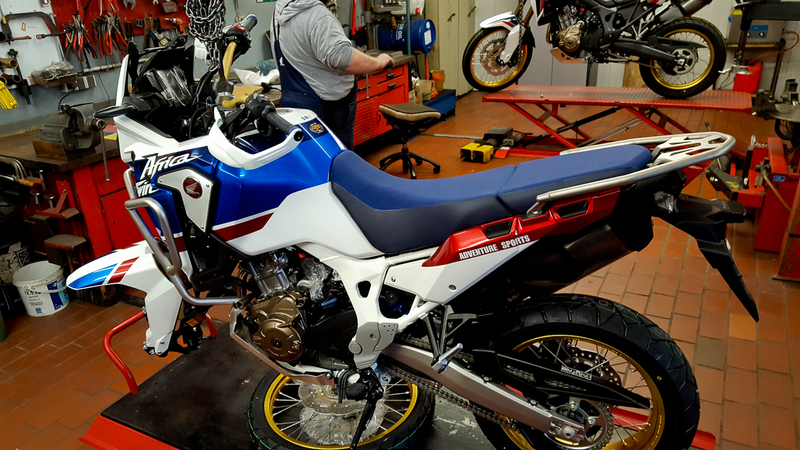 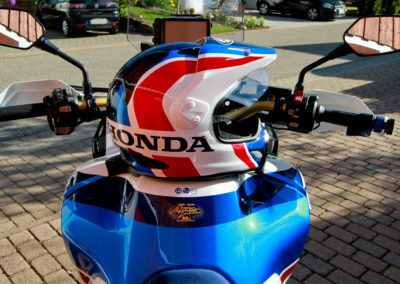 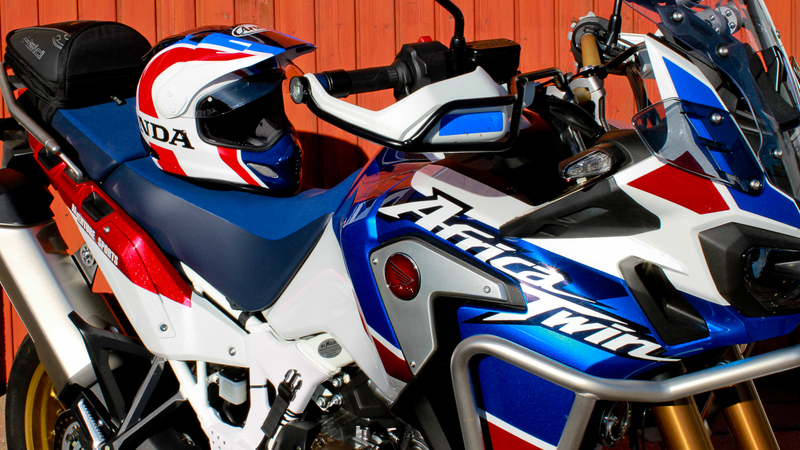 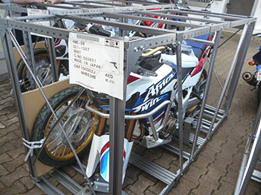 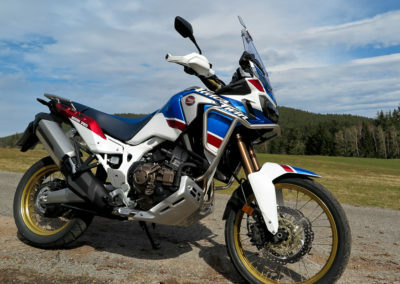 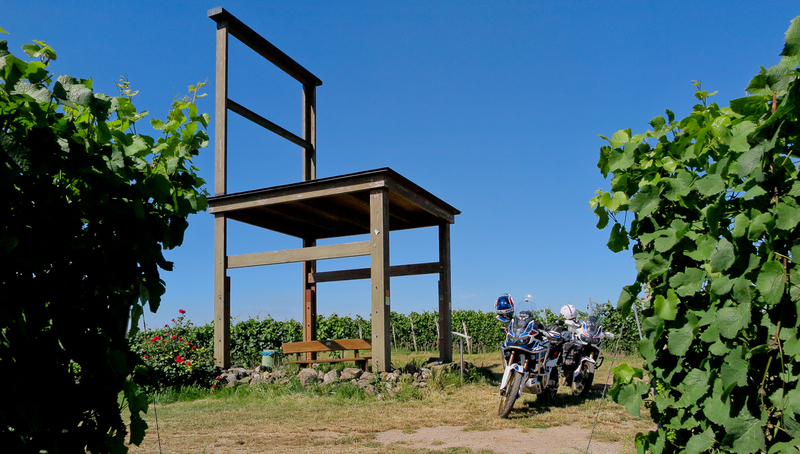 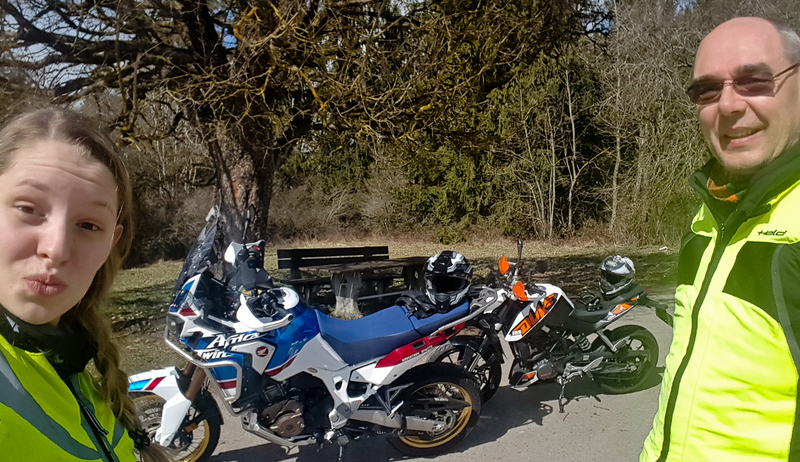 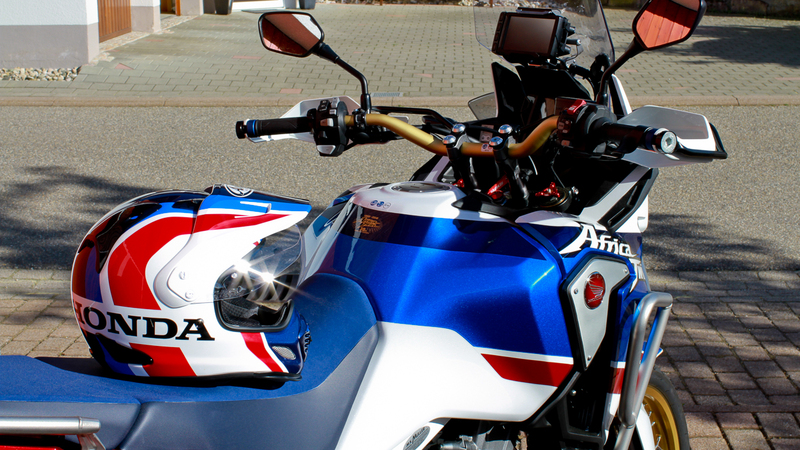 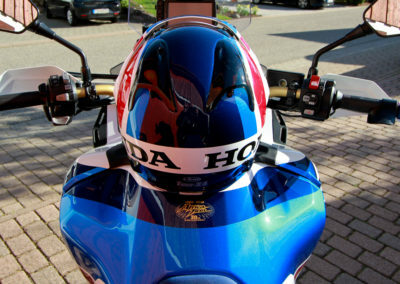 Der weiße Rahmen, die Tricolor-Lackierung in den Farben der Honda-Rennabteilung HRC – welch brillant gelungene Hommage an den Stapellauf der Ur-Africa-Twin vor genau 30 Jahren. 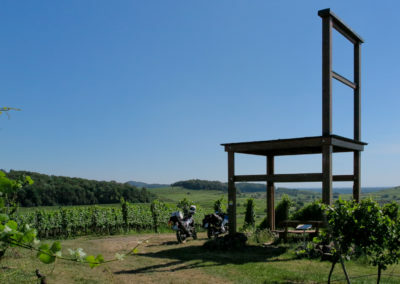 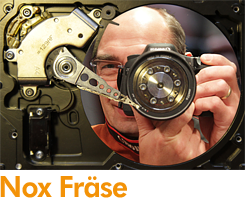 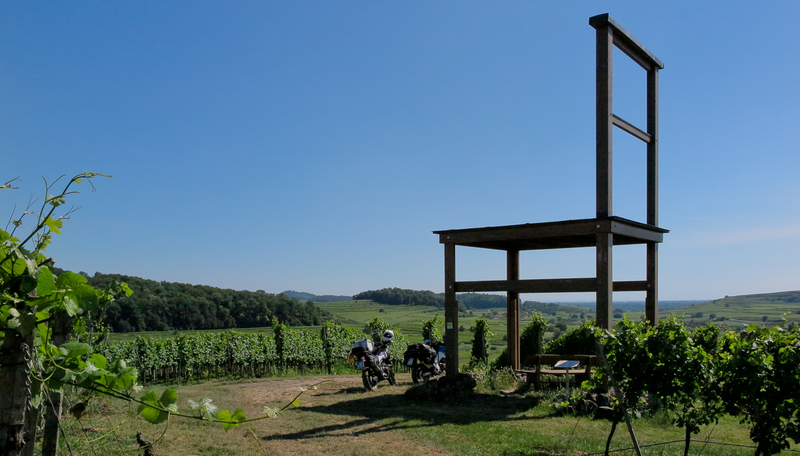 Vielen Dank für den klasse Service, die Abwicklung und die vorbildliche Montage der ganzen Zubehörteile – habt ihr toll gemacht! 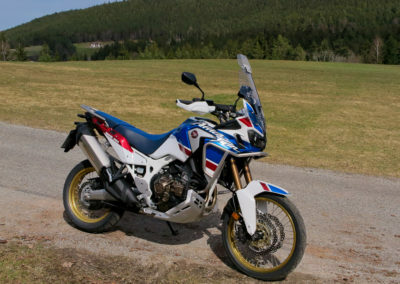 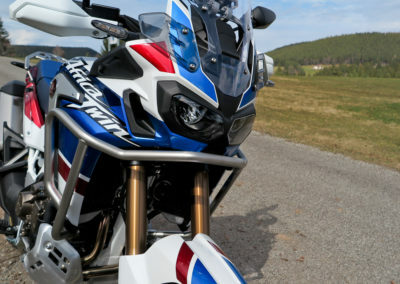 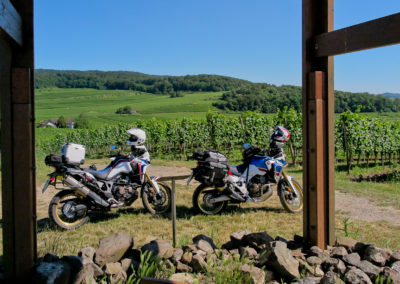 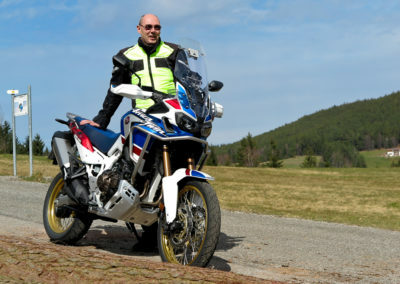 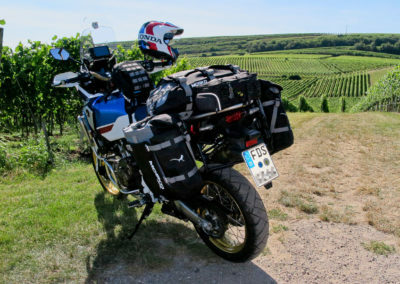 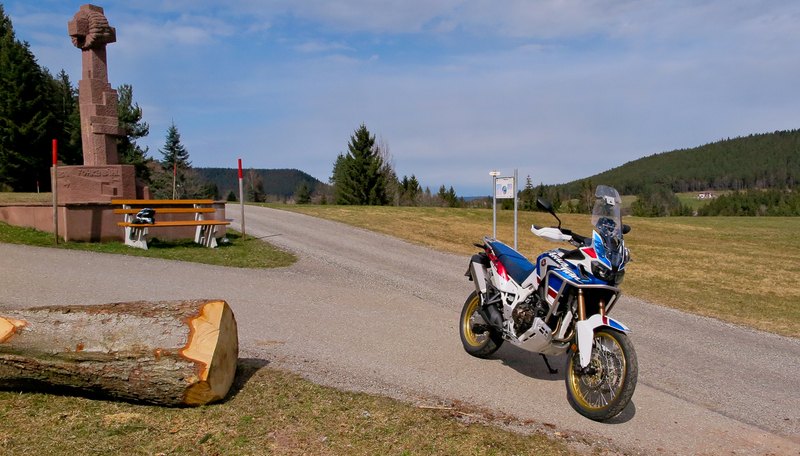 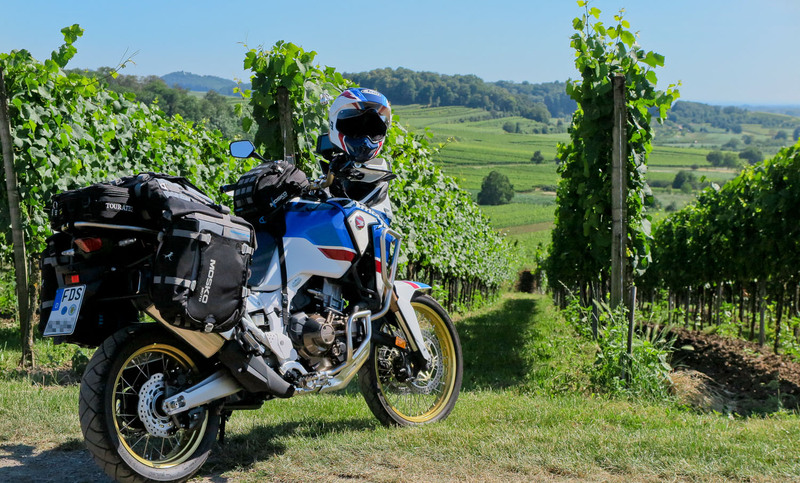 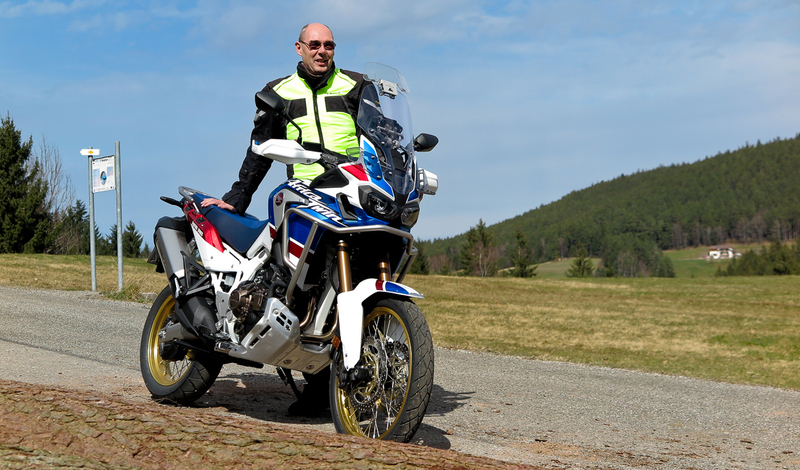 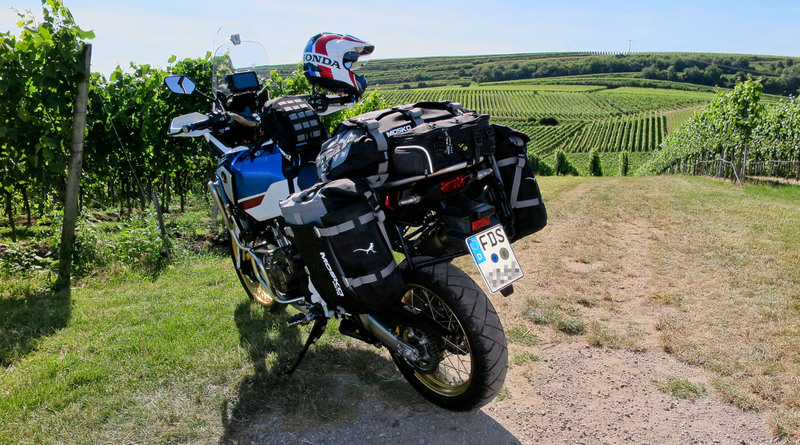 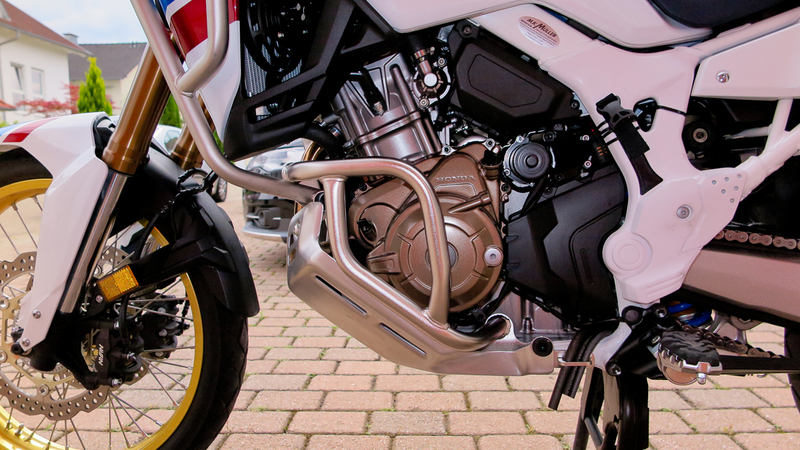 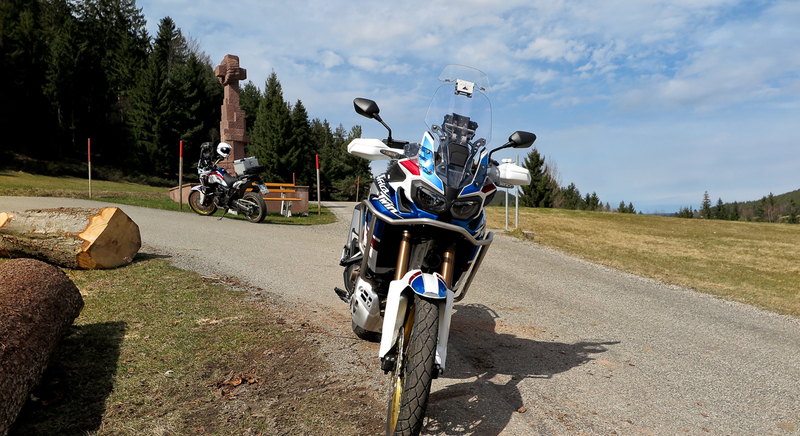 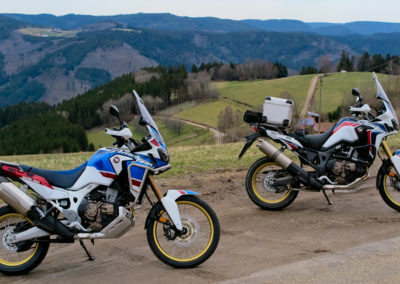 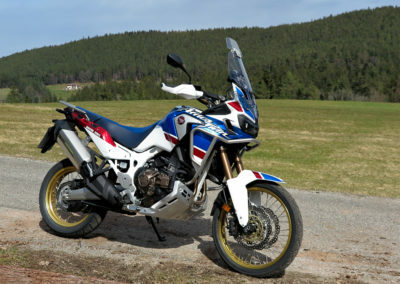 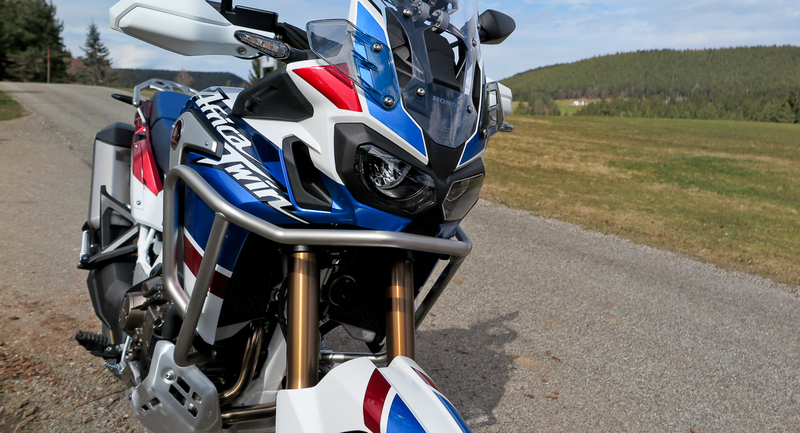 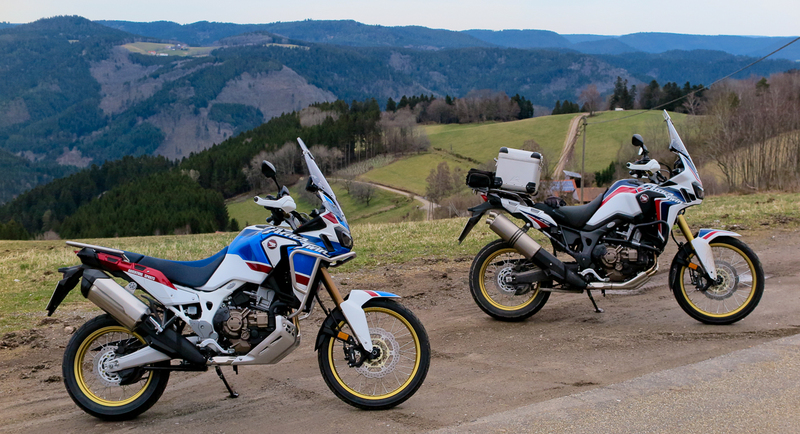 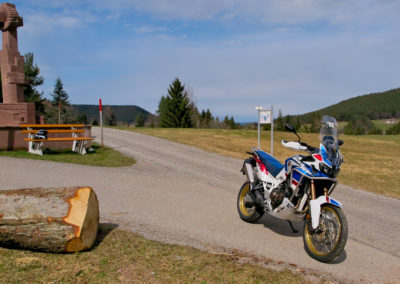 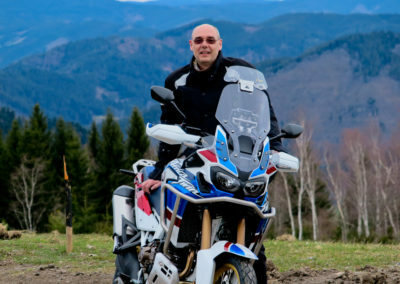 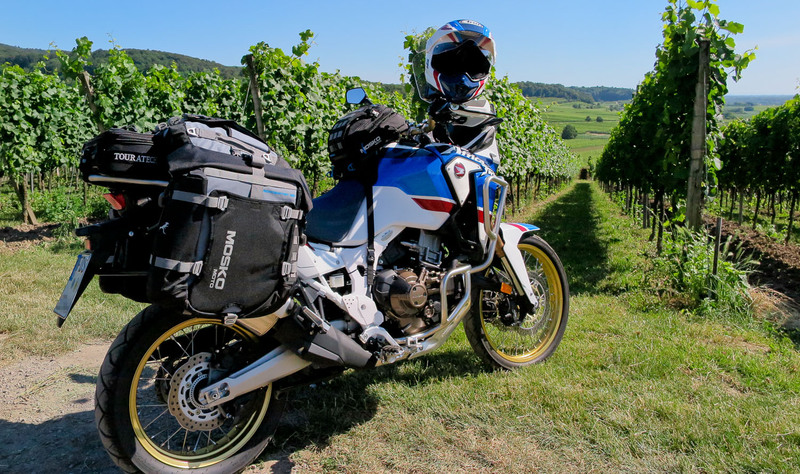 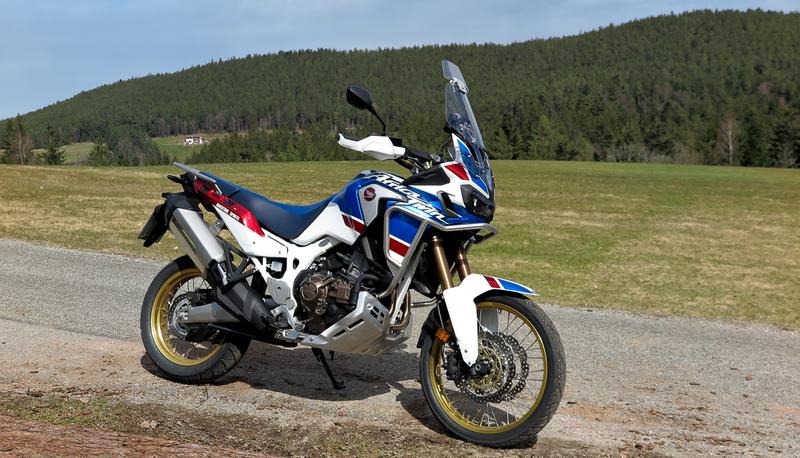 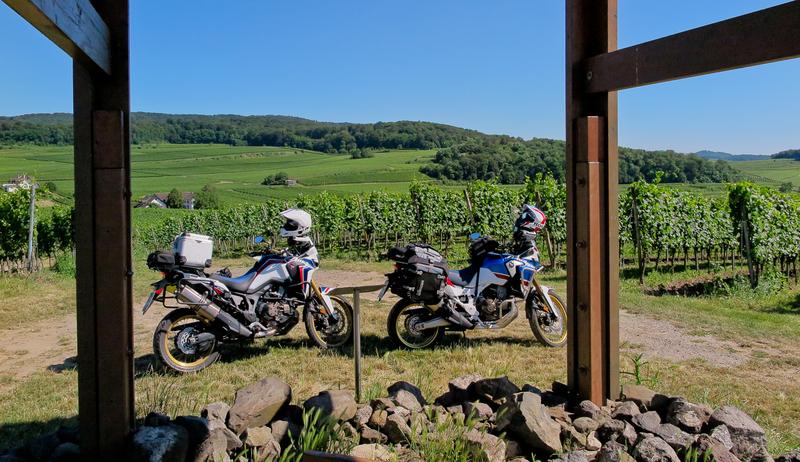 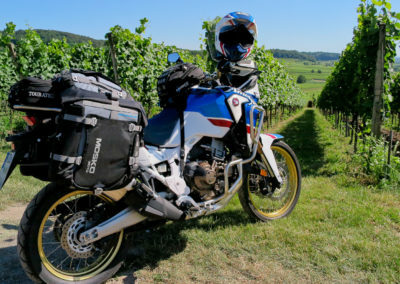 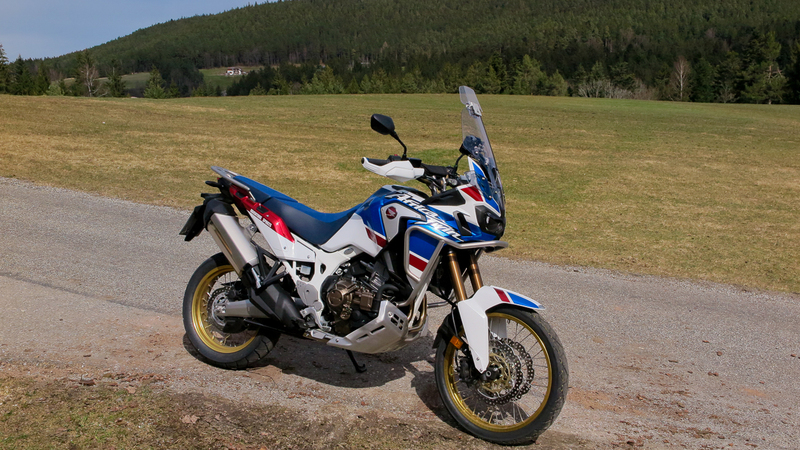 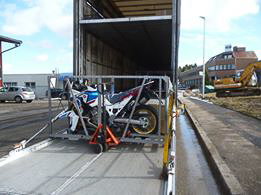 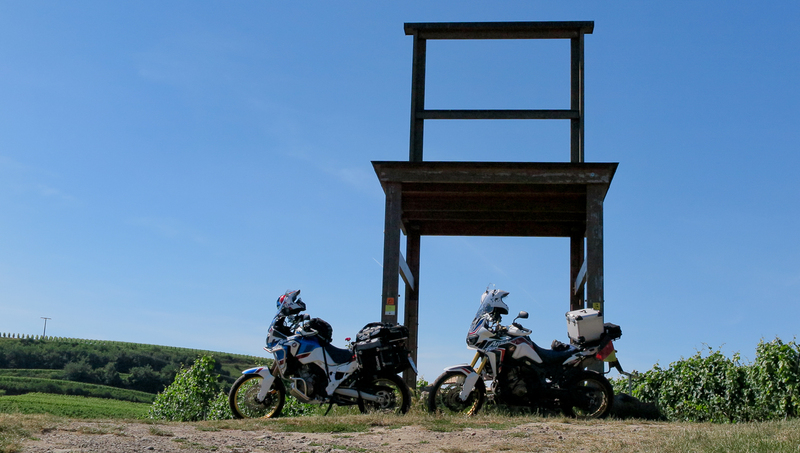 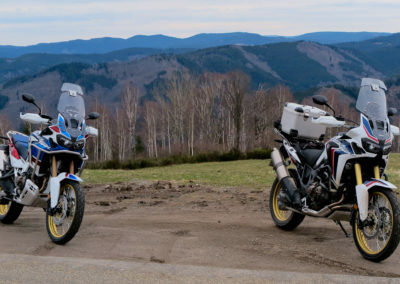 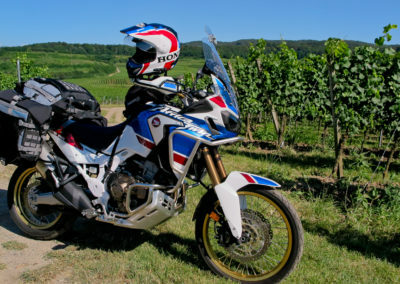 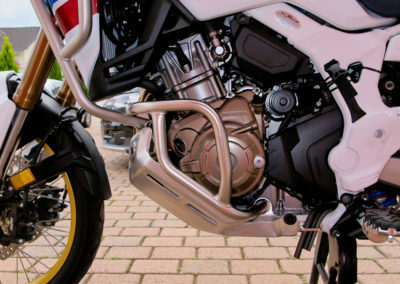 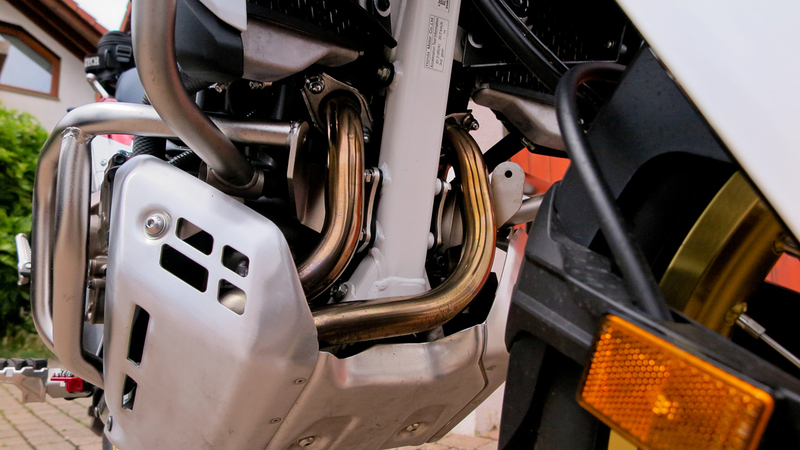 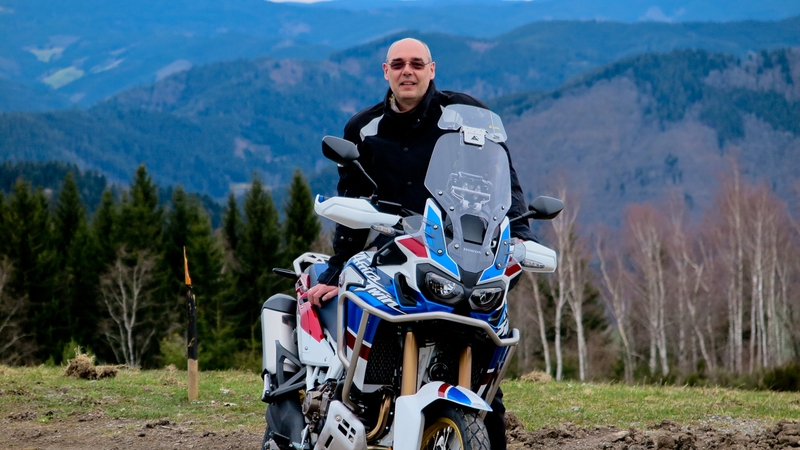 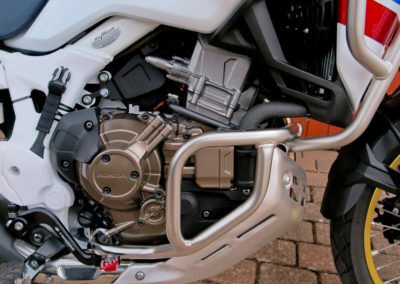 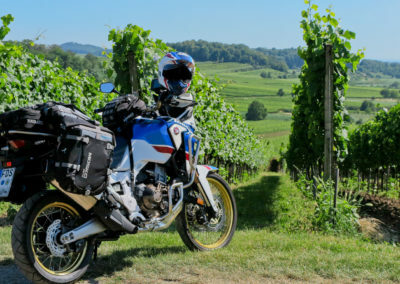 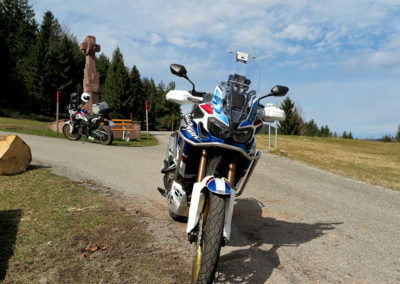 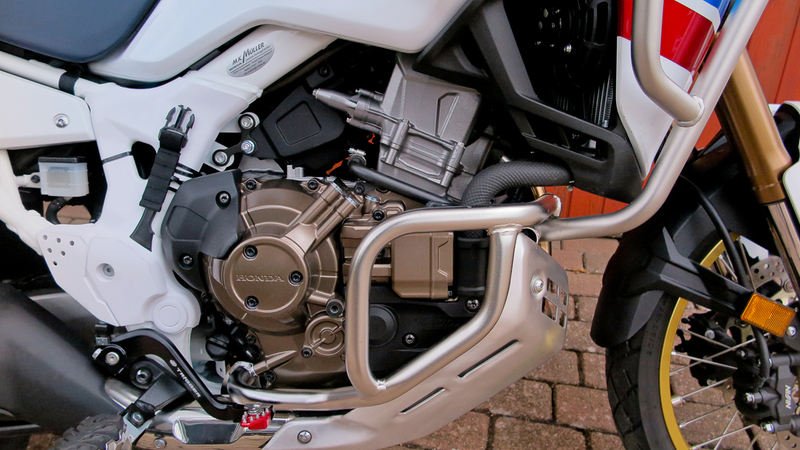 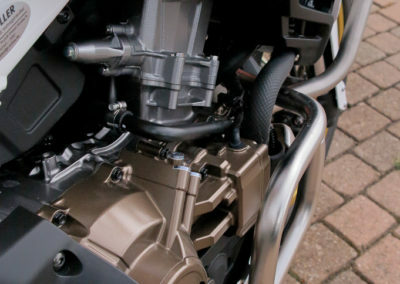 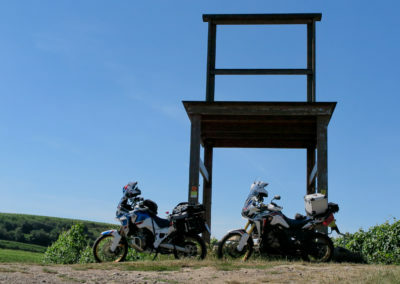 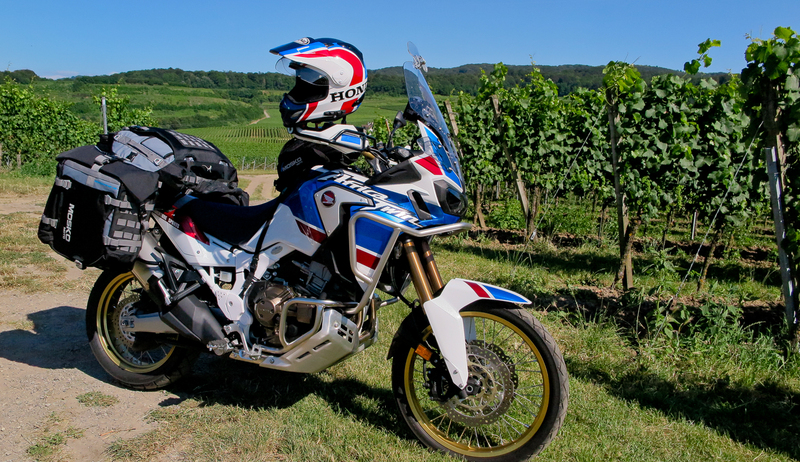 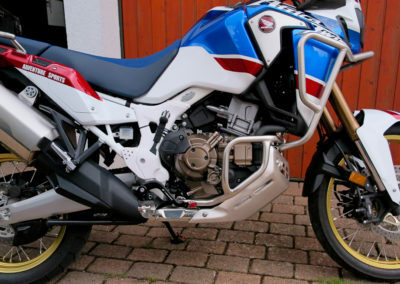 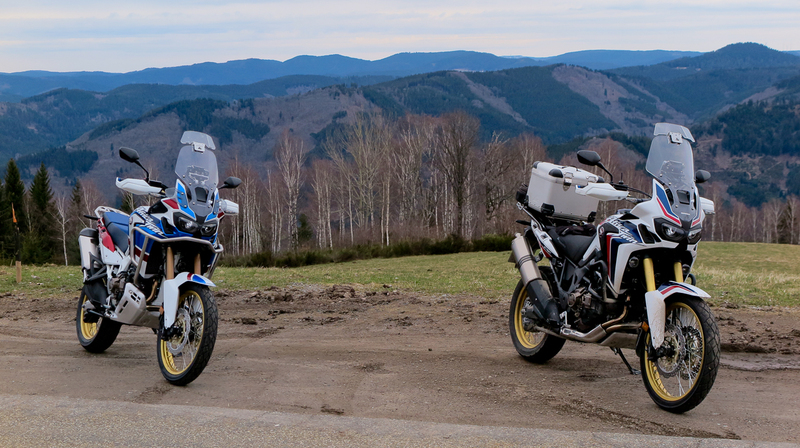 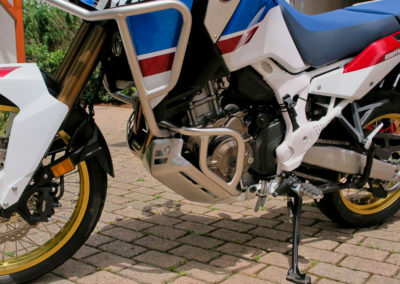 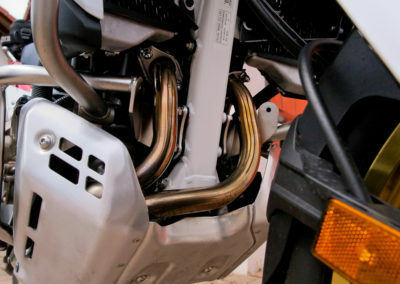 The GPS is a BMW Navigator V and was fixed above the instruments with the handlebar bracket of Touratech and the locking mount is also made by Touratech. 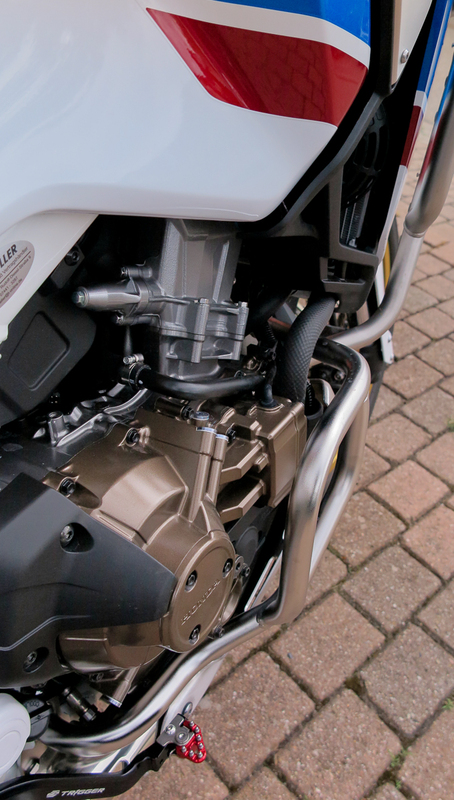 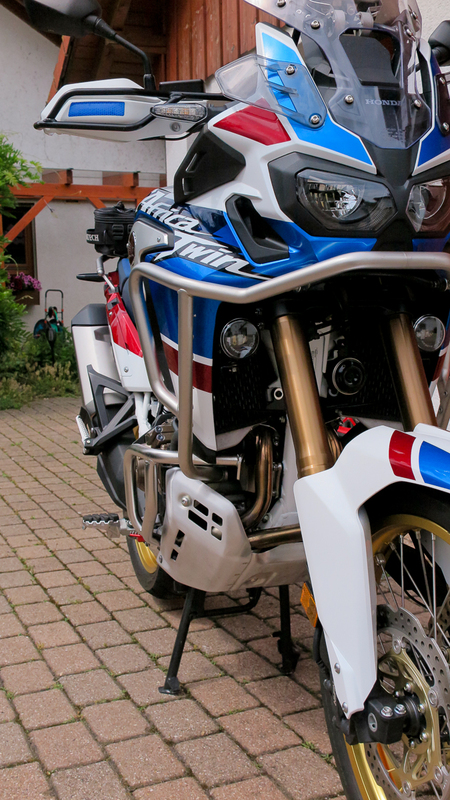 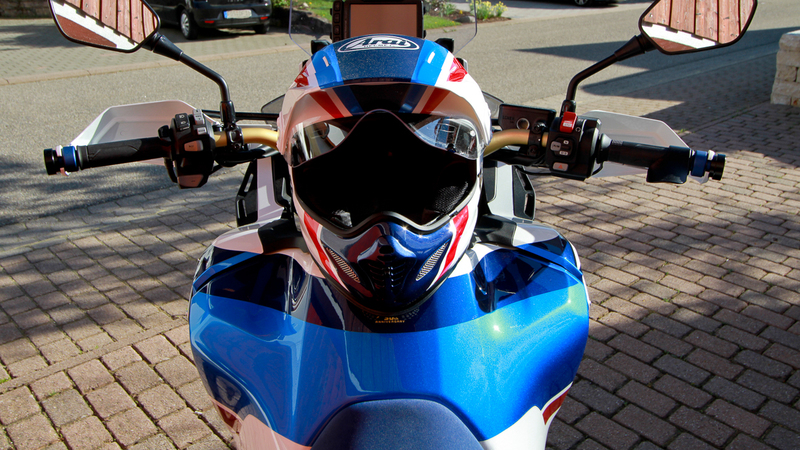 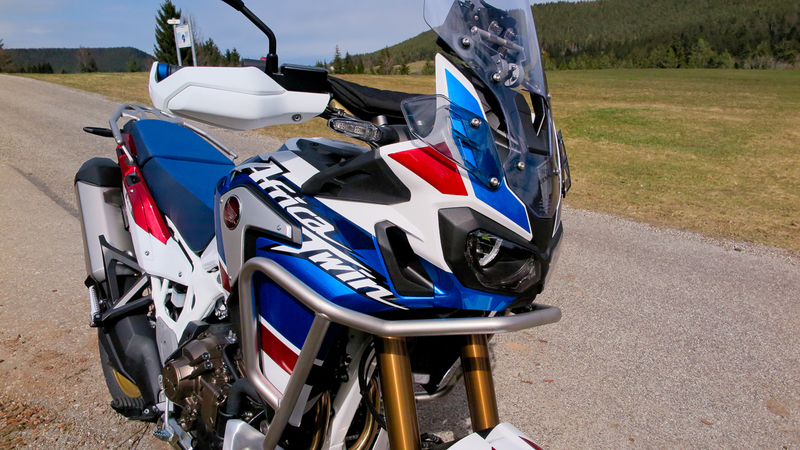 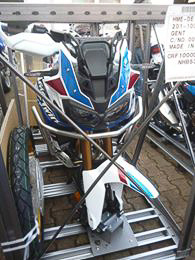 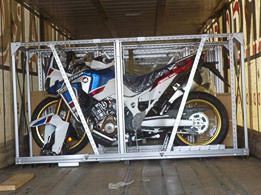 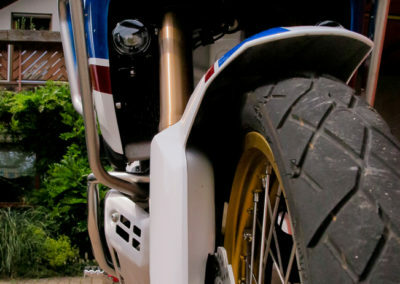 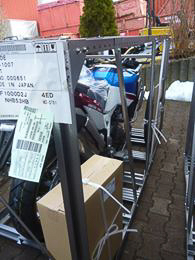 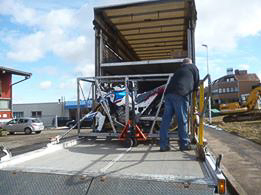 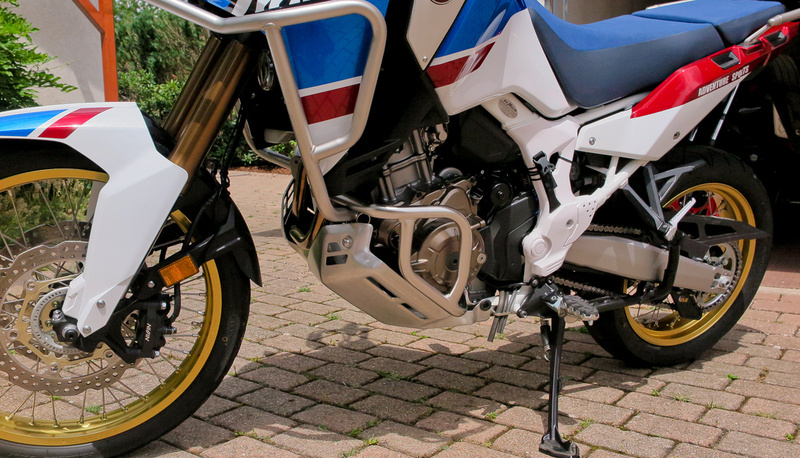 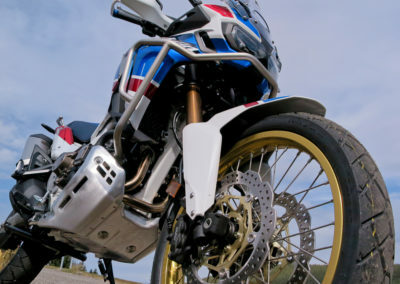 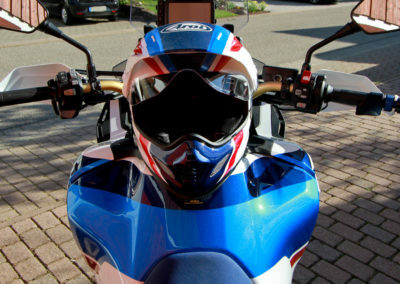 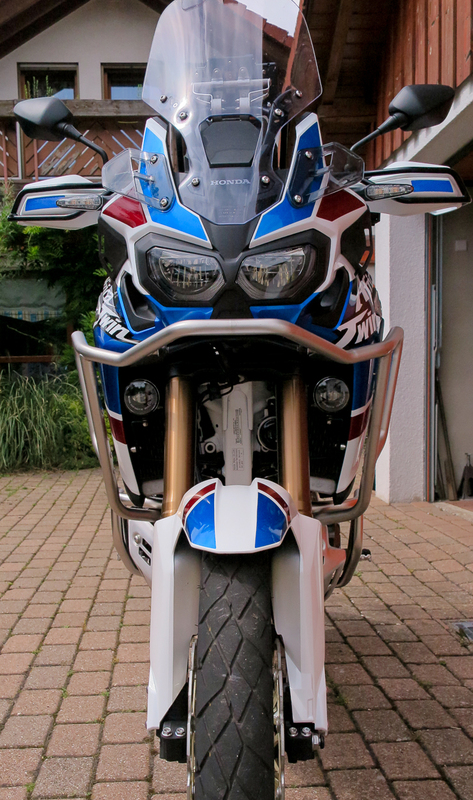 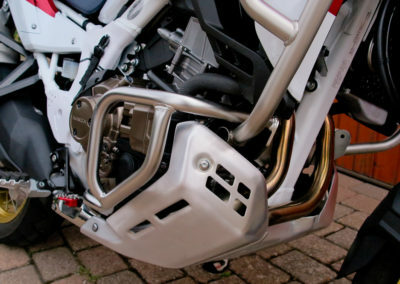 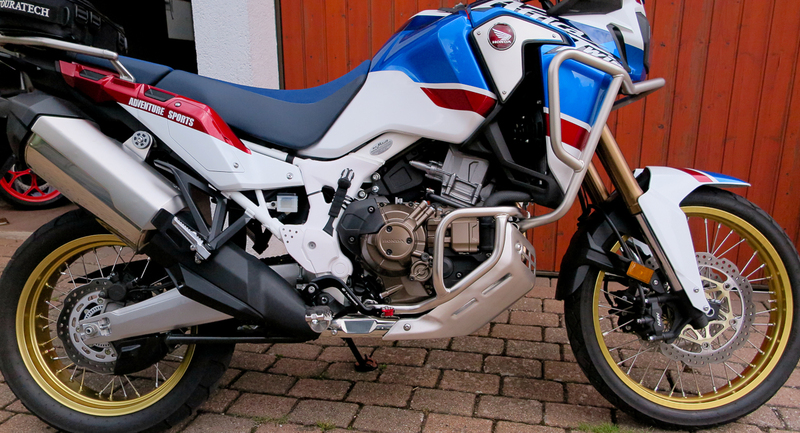 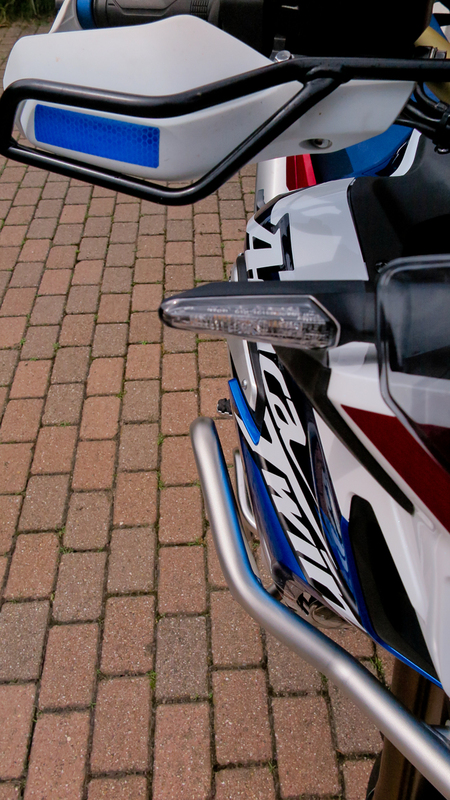 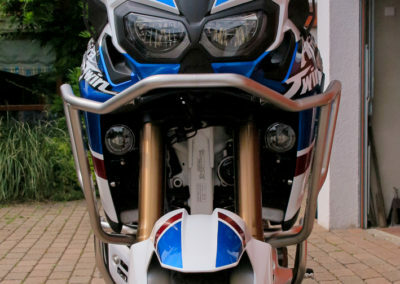 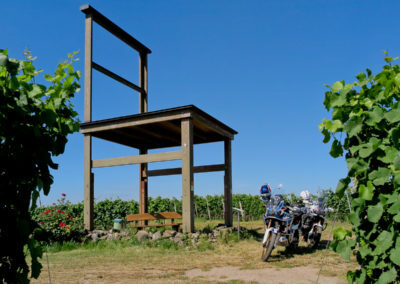 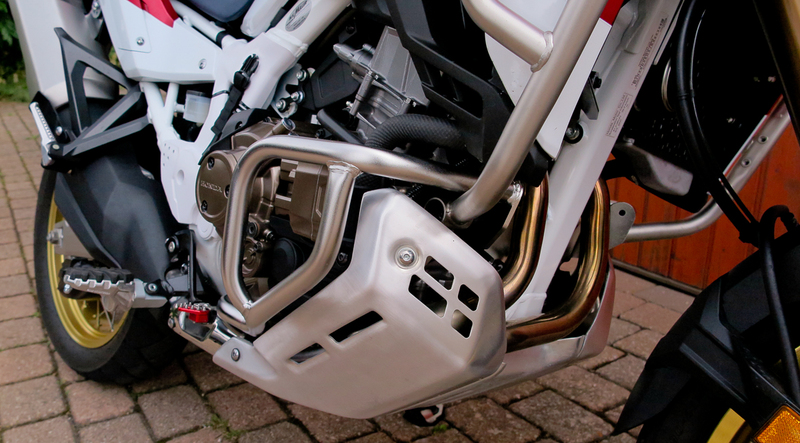 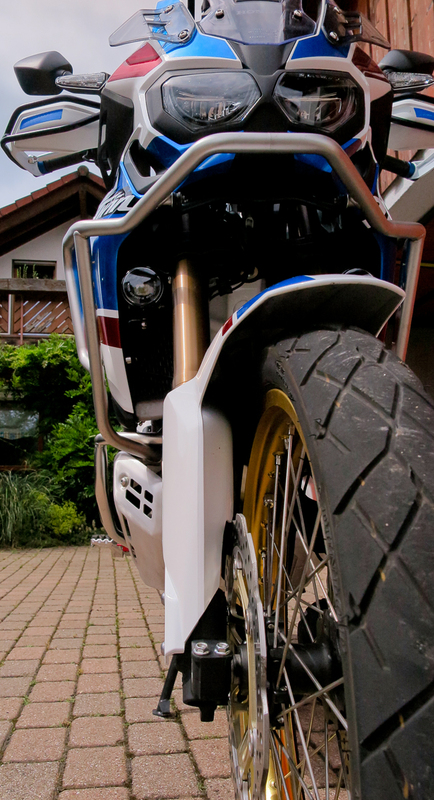 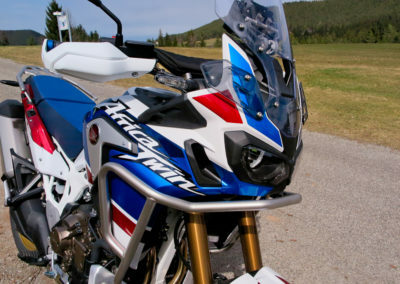 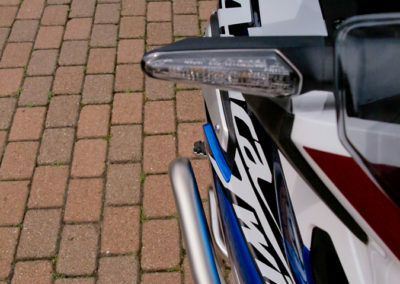 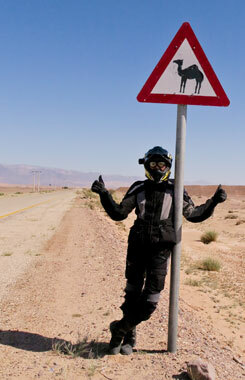 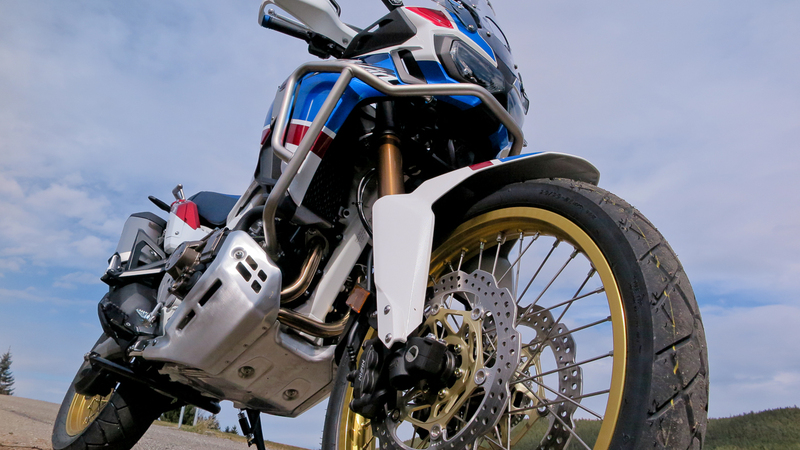 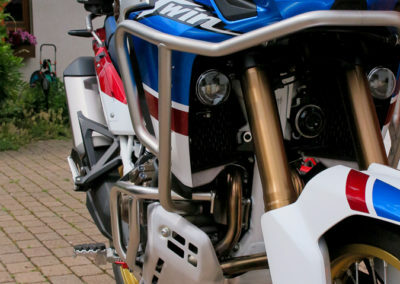 Note: This mount requires the use of the BMW plastic integrated motorcycle mount and power cradle for installation. 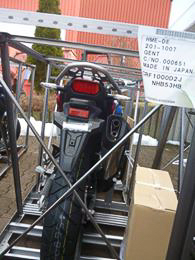 Since the total mass of the attachment is quite heavy, I will mount these support pads (bent piece of metal) in addition, made by NCCR Sweden.